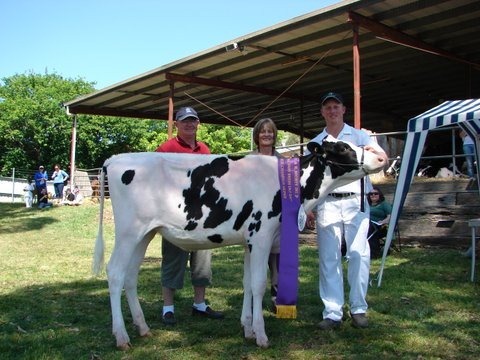 I love educating the youth in the dairy industry and the youth about the dairy industry. 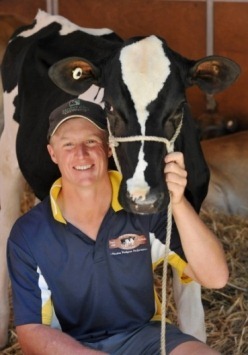 Let me introduce myself, I’m a dairy farmer with a passion for education. Yes, that’s right, I milk cows on my family farm, 10 minutes from the beach on the mid-north coast of NSW, and I’m about to commence my career as a teacher. 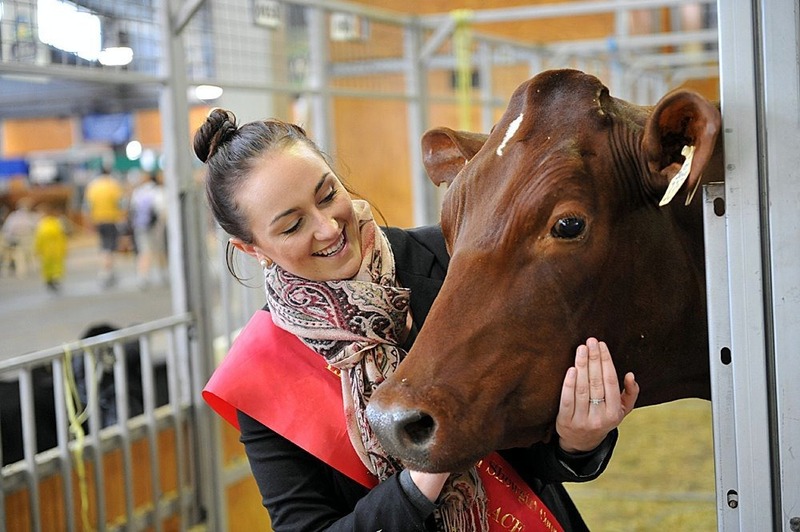 My name is Emma Polson, I’m 24 years-old and I love being a farmer. Every day I get to milk beautiful cows, in a beautiful area, spend most of my time outside and work alongside my family. Add to this a rewarding career supplying quality milk and I’ve got plenty to smile about. Growing up on my family farm has given me the best opportunities anyone could ask for. 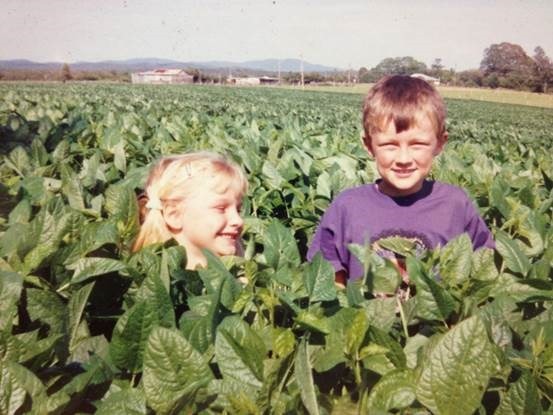 Some of my fondest memories include my brother Mathew and I getting-up to mischief on the farm. We would make our own “play farm”, basically all our farm toys with pasture grown for the cows from grain collected at the dairy. 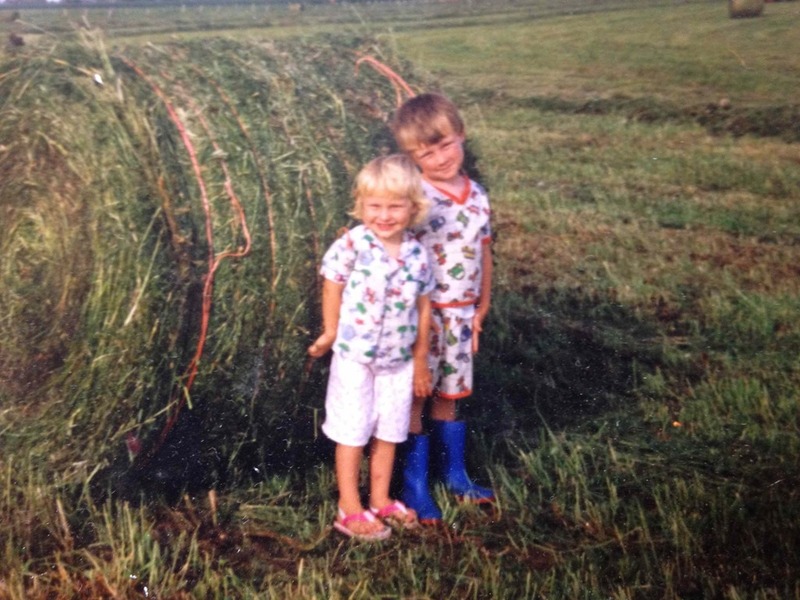 But life as a farm kid had its responsibilities and helping my father and grandfather in the business provided me with vital skills I still use today. At home, the cows are my passion. My family has two herds of registered Holsteins, the “small” herd of 180 head and up the road we lease another farm and milk 300 head. 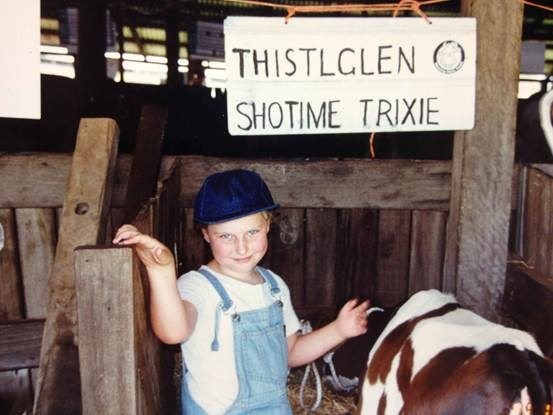 Our family stud is Blue Silo Holsteins, but there are still cows in the herd that can be traced back to my grandfather’s stud Thistleglen. My dad John manages both farms and my grandfather has retired. His idea of retirement is still getting the cows in each day at 2pm, but we love him for that. My whole family lives on the farm, including my 2.5 year old niece Miley. 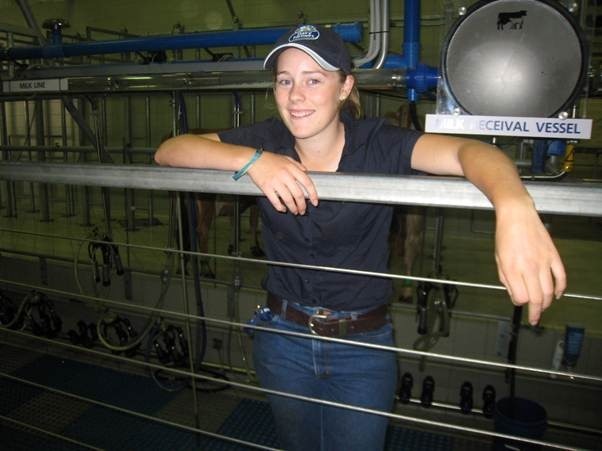 She is the fifth generation to farm at Oxley Island. 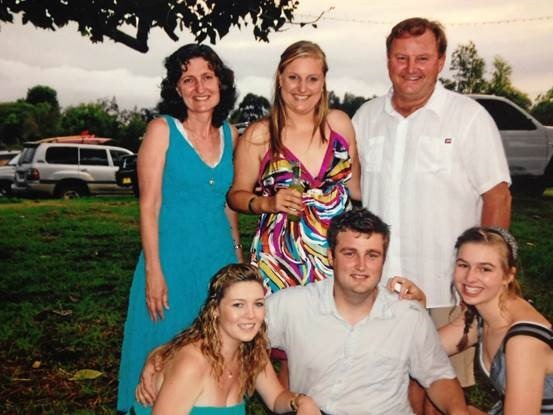 I cherish working with my family and my drive comes from wanting to make a difference in the family business. I’m proud of our farm and I used to love nothing more than showing my city cousins around when they came to stay. We jumped on the silage bales and camped-out under the stars, eating far too many marshmallows. 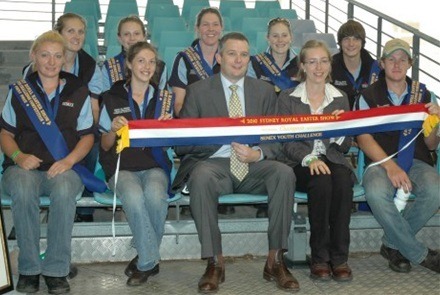 After high school, and during my gap year, I completed an agricultural traineeship through Tocal Agricultural College. 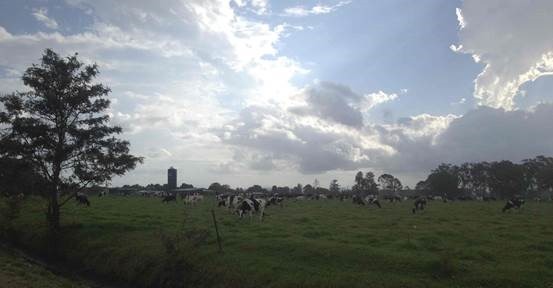 During this time I was lucky to visit and learn about a variety of commercial farms, including the college property. 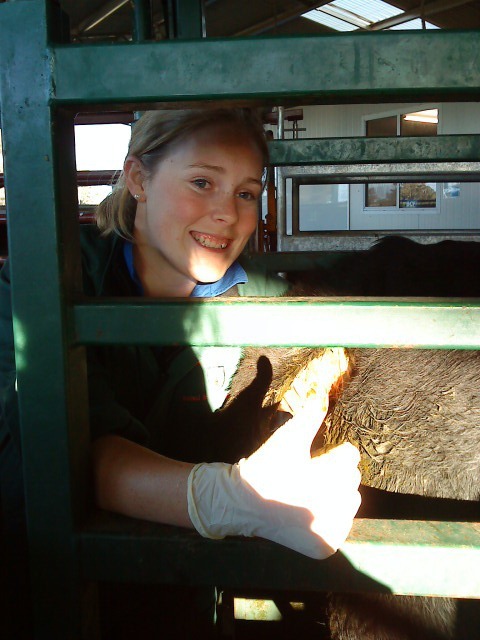 We studied topics such as calf rearing, cattle health and breeding. Studying at Tocal was one of my best learning experiences. I met many great people I am still friends with today. 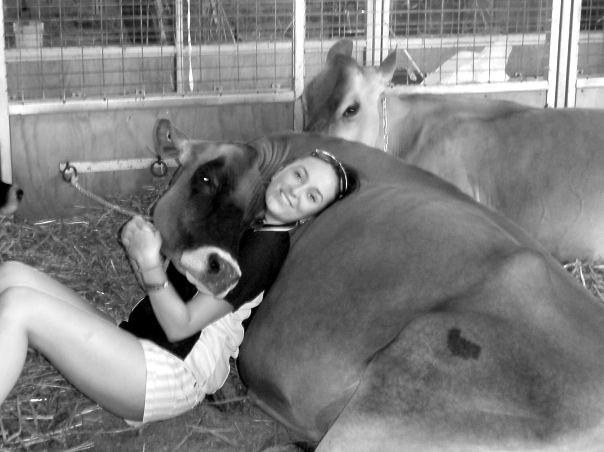 Showing cows has always been a passion of mine. I can remember sitting at my Grandma’s house admiring all the trophies my Dad had won showing cattle in his youth. I knew this was what I wanted to do and started working towards that goal straight away. 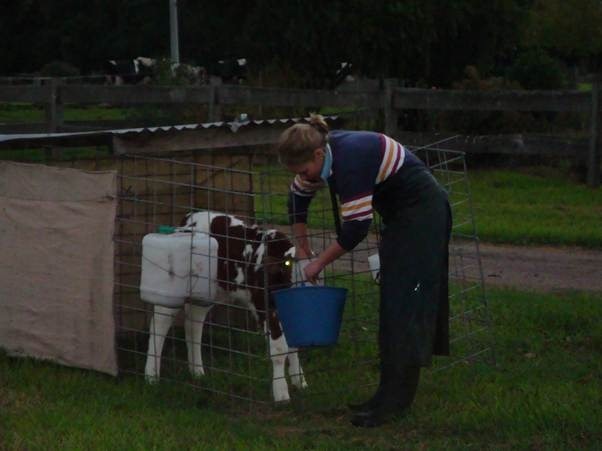 I was always tying-up calves to prepare them for shows. 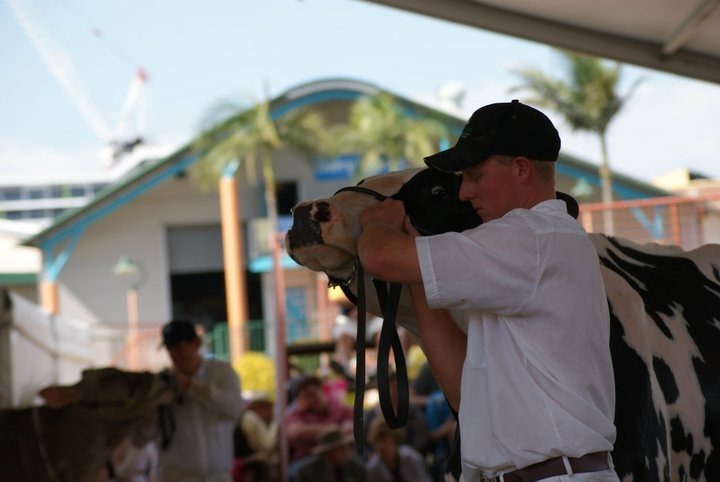 As I got older I attended industry youth camps and major shows such as the Sydney Royal Easter Show. It was there, in Sydney, that I had a crash-course in showing. I was helping my friend’s family and can remember thinking ‘I didn’t know anything’ but they didn’t care. They taught me so much about showing and welcomed me into their family. Showing at Sydney was nerve-racking but one of my best experiences of my life. Today my role in showing is a little different. Showing has been a great vehicle for teaching the next generation. I still show our stud cattle, but my primary focus is on up-skilling the local youth. I am secretary of the Manning Dairy Youth. 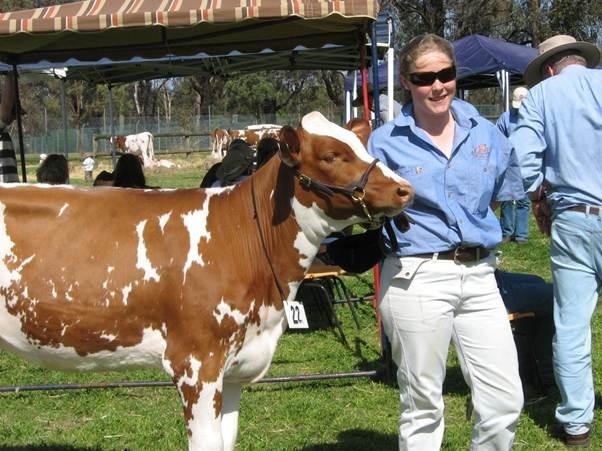 It’s an association supported by the Manning Holstein sub-branch and includes members from the age of 2 to 25. Part of my involvement includes organizing youth events within the region, including the annual calf day. The group has also been involved in a photo-shoot at my farm to help with promoting its activities. Taking countless photos was loads of fun. Here’s a link to the photographs which were later used for a group promotional video. 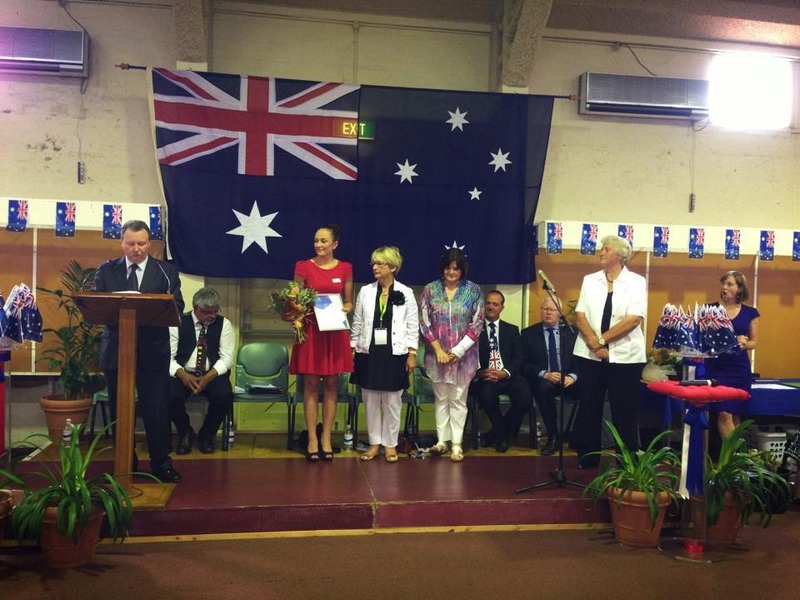 Supporting the Manning Valley is important to me. I was supported locally and welcomed into the show circuit, so I want to ensure other young people have the same positive experience. Improving my cattle judging is a personal goal of mine. 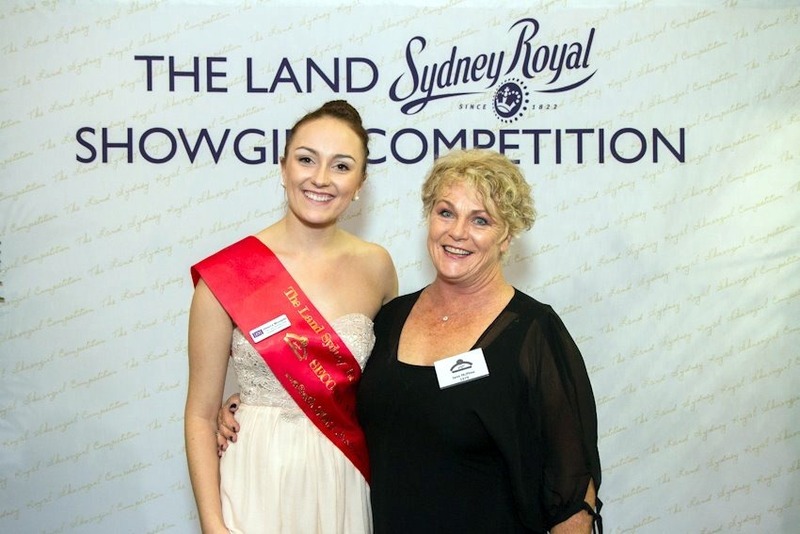 Last year I was reserve champion in the junior judging competition the Sydney Royal Easter Show, representing the Manning Valley-of course. I have just finished a primary teaching degree at the University of New England. 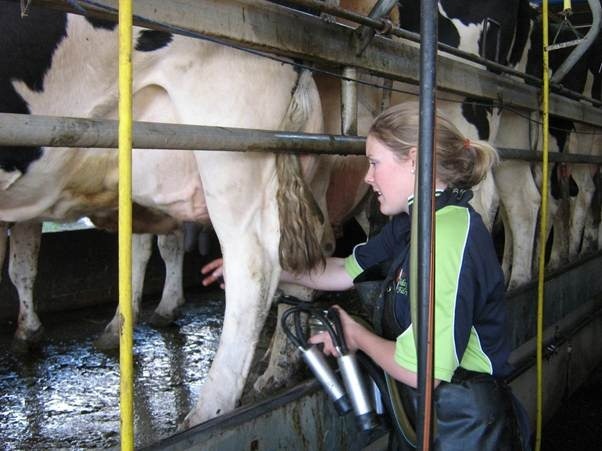 Throughout my university studies I have embraced the fact that I am a dairy farmer. 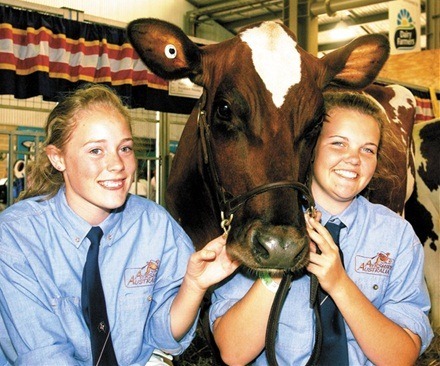 During my last year of study I helped the Taree Christian Community School with their Cows Create Careers Program. I also produced an educational video about where milk comes from for one of my assignments. It has been an invaluable classroom resource. 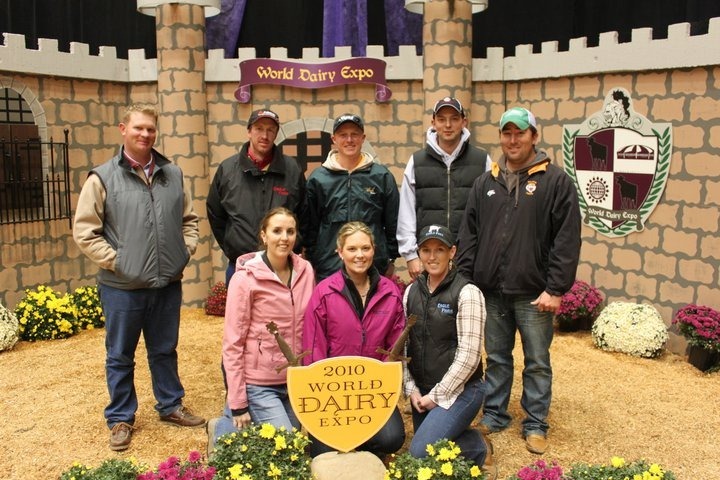 I love educating the youth in the dairy industry and the youth about the dairy industry. Recently I spoke as part of a careers day at a school. The most important point I stressed was that anyone can be involved in the dairy industry, you just need to have the passion. I told them to find someone who is prepared to invest their time in them and help develop their dairy farming skills. I grew up on a farm, but I have found you can never stop learning. If you have any further questions don’t hesitate to contact me epolson@myune.edu.au. 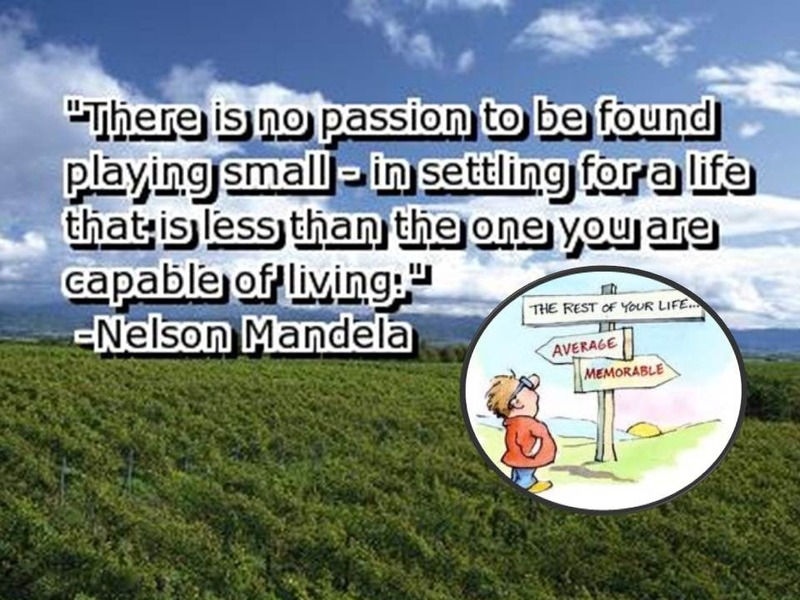 This is the Andrew D’Arcy story ……. 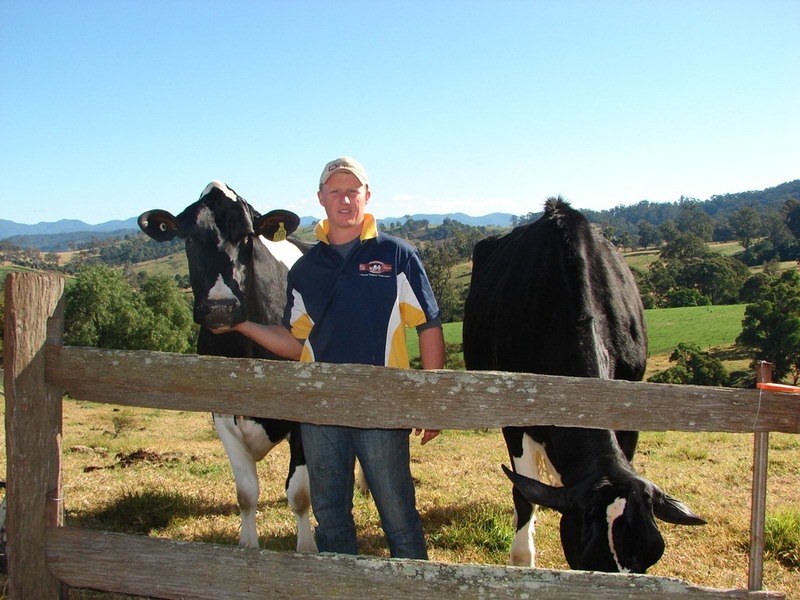 My name is Andrew D’Arcy and I am a 5th generation dairy farmer from the Bega Valley. 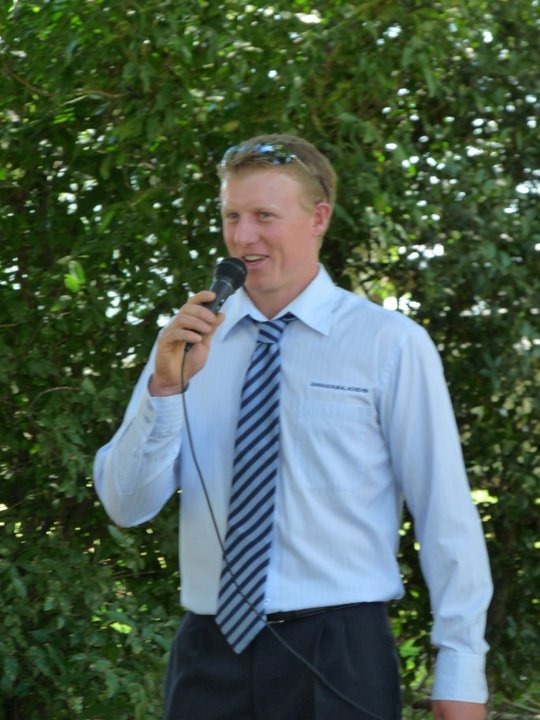 I am passionate about the future of agriculture and believe that there are endless opportunities in this industry.I was born in Bega, a beautiful coastal region located on the far south coast of New South Wales. 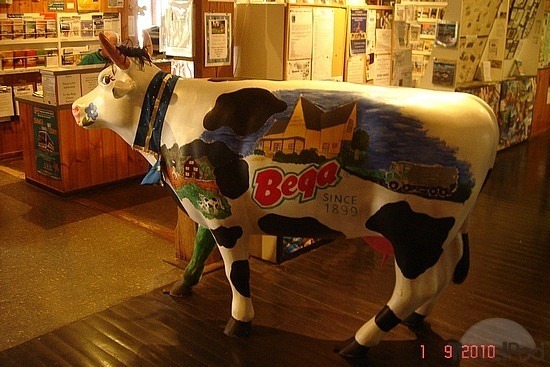 Bega is a great place to live as it is in close proximity to untouched, pristine beaches, situated a few mere hours away from the capital city and the snow fields, and is surrounded by a vast valley of hills to occupy my leisure time with motorbike riding, surfing, snowboarding, fishing, and wake boarding. I was educated at the local primary and secondary schools before I was fortunate enough to be able to pursue further education in agriculture at the University of Melbourne (Dookie campus). Over a period of four years I obtained a Bachelor of Rural Business. During this time I worked in different fields of agriculture such as beef cattle, sheep, horticulture, and dry and irrigated cropping. I believe that this experience allowed me to gain an understanding of how other agricultural enterprises work as well as obtain valuable knowledge that I have bought back to my own property. 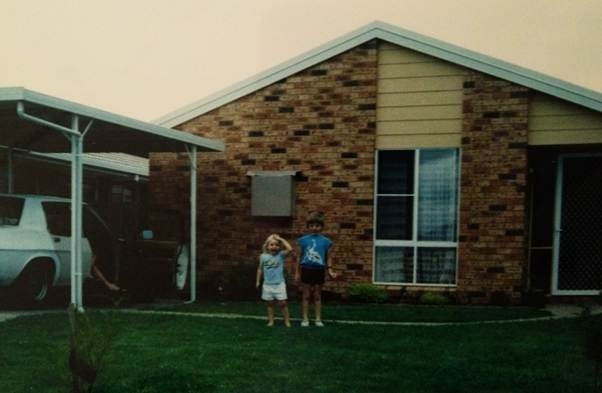 In 2007, I came back to Bega to work alongside my father, who also was born, raised and worked on the property for over 35 years. 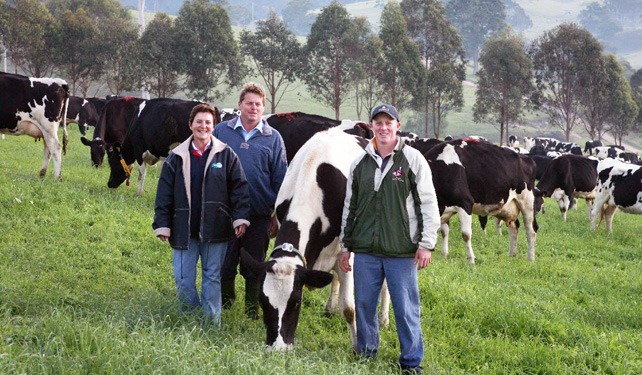 Currently, together we are both able to work and manage the family owned dairy farm, ‘Daisy Bank’ which consists of a milking herd of 420 cows. 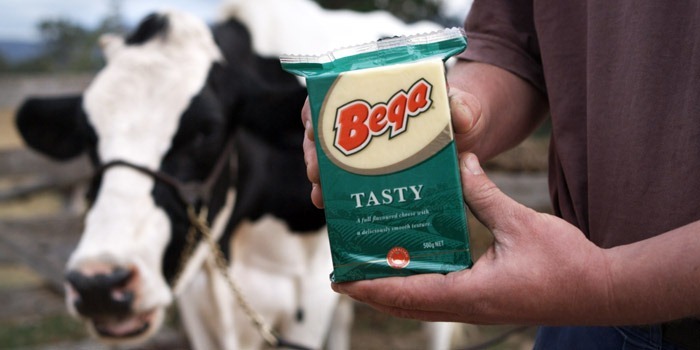 We are proud supplier to the iconic Australian brand Bega Cheese. Currently we are operating a six unit system which operates on a pasture based voluntary milking system. This means the herd are able to move around the farm in a relaxed manner and come into the milking shed based off the desire to be milked, stimulation (cow brush) and feed incentives. 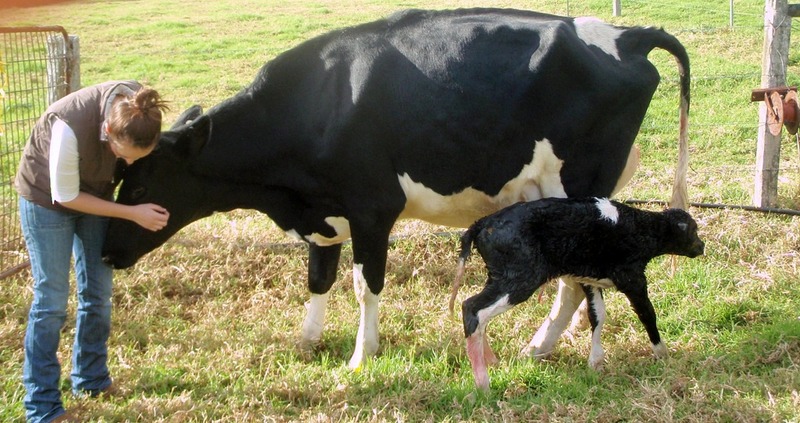 The benefits of this innovative system include improved cow well-being, udder health, quicker mastitis and sick cow/illness detection, increased milk production and the opportunity to feed the cattle according to production thus an increased feed efficiency. Additionally, they provide the opportunity for a more flexible daily routine to allow more time to be spent on pasture development, environmental care, and calf and heifer rearing and training. 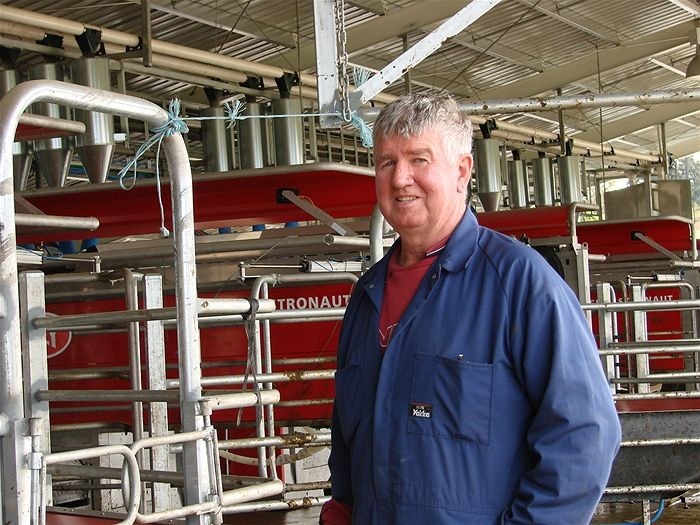 Most importantly, the robotic milking system has allowed for an improved lifestyle, reducing the usual 7 day a week, 365 days of the year, early morning starts required for milking in a conventional herringbone or rotary dairy. 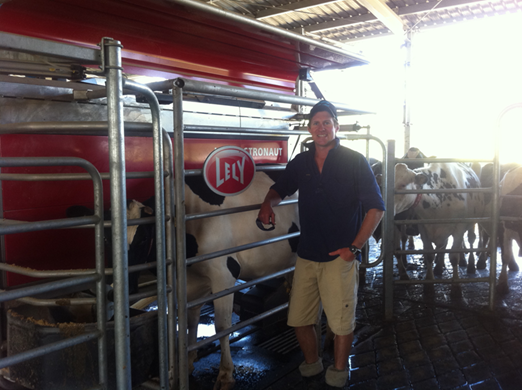 Over the years the dairy industry has created many great opportunities for me. 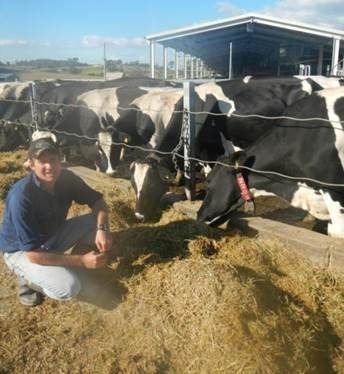 I have been fortunate enough to travel throughout Australia & New Zealand on several different educational tours and conferences which has allowed me to gain a broader perspective on all different aspects involved in the dairy industry. 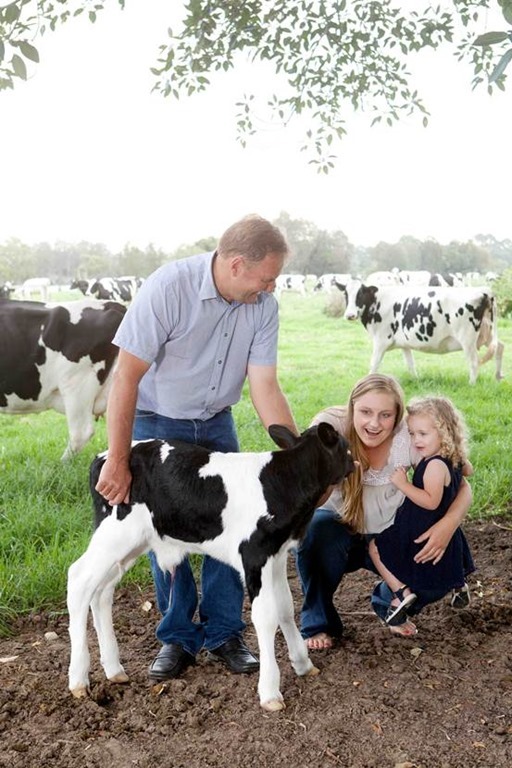 These experiences have allowed me to view how far the Australian dairy industry has come over the past 100 years as well as highlighted the potential for the future of dairy and Australian agriculture. With an ever increasing world population, the importance and need for agriculture is going to strengthen. This necessary demand will generate more career opportunities with boundless positions within the industry, not limited to farming alone but incorporating other fields such as agronomy, nutrition, marketing, engineering, research, science, accounting, veterinary, mechanical – the list is endless. Currently only 3% of Australians are working within agriculture which has decreased by 20% in the past decade. 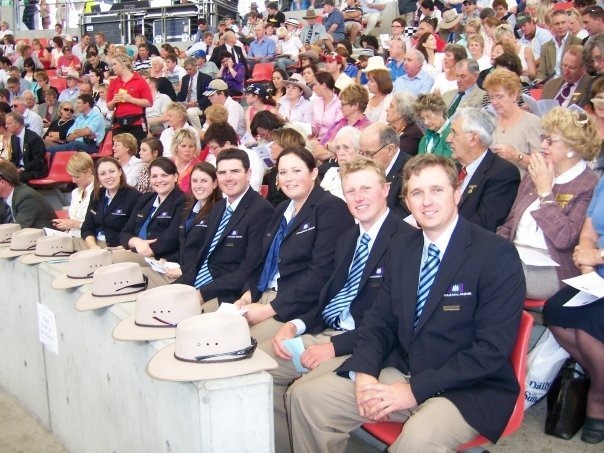 Additionally, at present Australian agriculture requires at least 6000 tertiary qualified graduates per year however there are only 800 students graduating annually in agriculturally associated degrees. These statistics alone highlight the importance of encouraging new people to get involved in agriculture. We, the next generation need to be the driving force behind this positive change for the future of Australian agriculture. 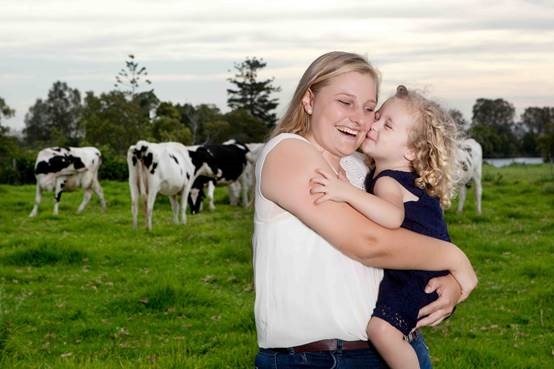 Art4Agriculuture Young Farming Champion Jess Monteith is a walking talking testament to phrase “life is what you make it”. For 7 years I have been an ambassador for Hands Across NSW. 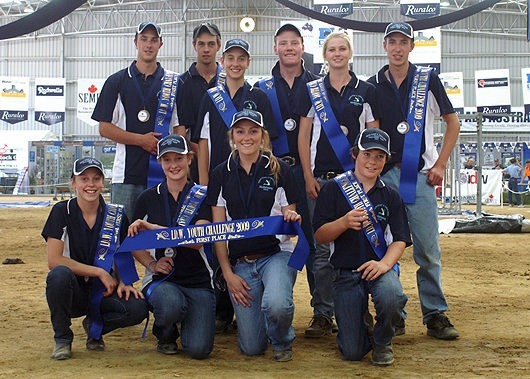 Hands Across NSW began as a charity organisation during the severe droughts to assist farming families and their communities. “assist the rural communities in NSW affected by the drought and any other issues by providing help with dignity and to be a dynamic organization dedicated to assist those in need as well as providing a hand of friendship in times of distress, thereby ensuring our prominence as one of the leading, friendliest, and effective charitable organizations in this field originated in the Shoalhaven”. Over the years we received donations of financial help to support our farmers to be resilient through grants of up to $5000 per individual. We also took donations of fodder and other feed products to provide for livestock in areas severely affected. In 2009 we received a massive donation from the Bonds factory which supplied 30 different families with new underwear. Something we may take for granted, yet something so important as some of the women in remote communities could not afford new underwear and were too embarrassed to even visit a Dr because of the state of their underwear.